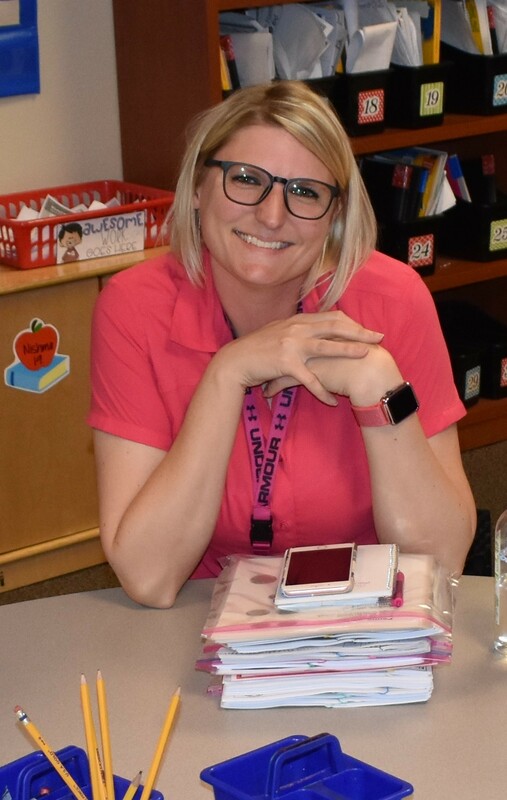 Congratulations to our April 2019 Teacher of The Month winner, Michele Oler! Ms. Oler is a kindergarten school teacher at Harmony School of Innovation! It was an honor presenting Ms. Oler with this month's award, and we appreciate her for their commitment and dedication to these precious students. 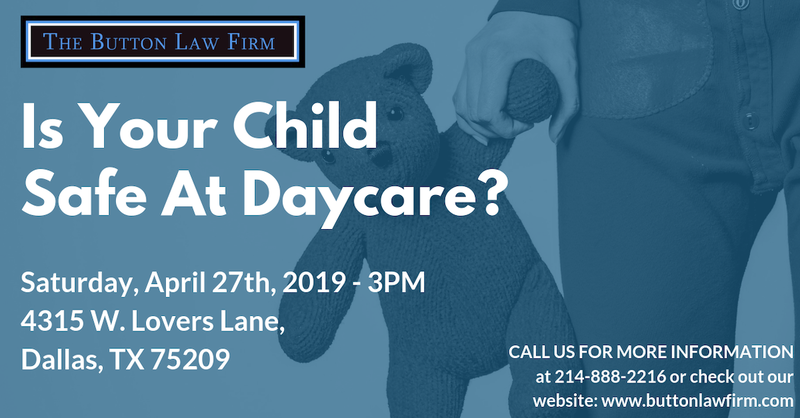 The Button Law Firm believes that our children are the future and our future leaders of this great country. We see the sacrifice that teachers make day in and day out, and we want teachers across the world to know that we stand with you and recognize your unbelievable efforts. "I was born and raised in Fort. Worth Texas! From the age of 15-23, I lived in Arizona with my dad. When I was 23, I moved back to my home state of Texas and met my husband, Josh. I started school and 13 years later, I got my teaching degree and now, here I am. I was born with hearing issues and got my first set of hearing aides at the age of 5. By the age of 16, I was completely deaf in my left ear and profoundly deaf in my right ear. When I was a sophomore in high school, the decision was made for me to go to a deaf school. Although scary at first, I was able to learn a new language and made some lifelong friends. Having to overcome certain obstacles that comes with hearing impairment, helped to mold me and give the confidence to achieve my goal of teaching. I've gotten to where I am today with a lot of hard work! Growing up, I always knew I wanted to be a teacher. I was a teacher’s aide for a wonderful teacher for 10 years before I decided to obtain my degree and become a teacher. It was so much hard work going to school and working full time but with the love and support of my husband and family, I was able to achieve my lifelong dream of teaching children. Harmony took a chance on making me their kindergarten teacher and I am so glad that they did! This is my 3rd year with HSI-Euless and what a blessing it has been. I LOVE Harmony! When you walk into Harmony, you will make no mistake about the goal of our school. When you walk the halls, you will see student work up all over the building and see that our kids are #1. We have some amazing teachers here on our campus and I feel so lucky and blessed to be a part of this! My students are my heart. I love them all so very much. I think back to the first day of school and how shy they were and into the students they have blossomed into today. I am so proud of who they are and how so very hard their little minds have worked this year. I am the luckiest teacher alive to be able to teach them every day. They are the best! My biggest accomplishment teaching is seeing the progress that my students make every single day. That “aha” moment they have when something finally clicks about what I have been teaching. That is the best feeling in the world. Being a teacher is the hardest job I have ever had but also the best! Everyday that I get up, I cannot wait to get to work to get started for the day. At 7:30 a.m., my students come busting through my door with big hugs and smiles. At the end of the year, I hate to watch my students move on to the next grade but I see how much they have grown and look forward to next group every fall! Her Message to Parents: Thank you for entrusting me with the care of your child and allowing me to teach them. Her Message to students past and present: You all are so amazing and I am so happy that I got to be your teacher. Each of you hold such a dear place in my heart now and always. I love you all." We couldn't be more proud of all of your accomplishments, Ms. Oler! We are proud to have you as our April Teacher of The Month! Finally, if you know of a deserving teacher, please nominate them by following the link provided below!